Pears are one of the sweetest harbingers of autumn. And Riesling is my favorite wine. We love wine poached pears so when I saw this recipe in Jeni’s Splendid Ice Creams at Home, I knew I had to try it. It’s smooth, not too sweet, and refreshingly delicious. I used an Immersion Blender right in the pan instead of using a blender to create the puree. It’s just a lot easier to clean up that way. Maybe it’s because I’m from California, and maybe it’s because I’m a nerd, but I try to avoid using plastic bags. 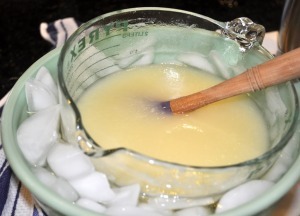 So, I poured the warm pears into a large Pyrex measuring cup and set it in an ice bath. The spout on the measuring cup made it really easy to pour right into the drum of the ice cream maker. And, I added a pinch of salt to enhance the flavor. 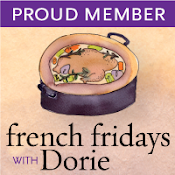 This week’s French Fridays with Dorie challenge is for these tiny soft cakes, infused with honey and spice which are the perfect accompaniment to sorbet. They’re easy to make ahead and store in the refrigerator right up until you’re ready to bake them, so you can serve them warm with just a light dusting of powdered sugar. This also makes them a perfect make-ahead dessert for company. 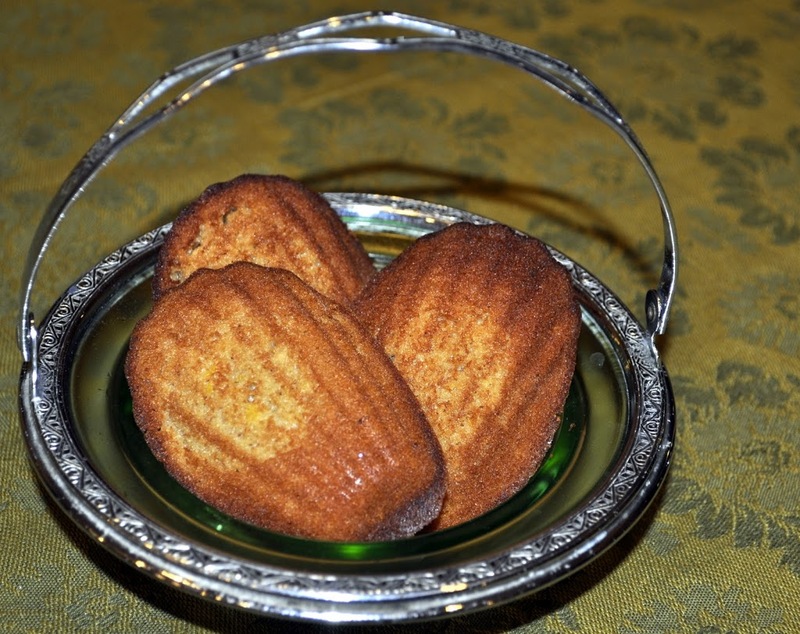 I always thought Madeleines were complicated – but I think how easy they are shall remain the secret of the French and we Doristas who know the truth. You simply have to plan ahead. Here’s a bit of their fabled history. 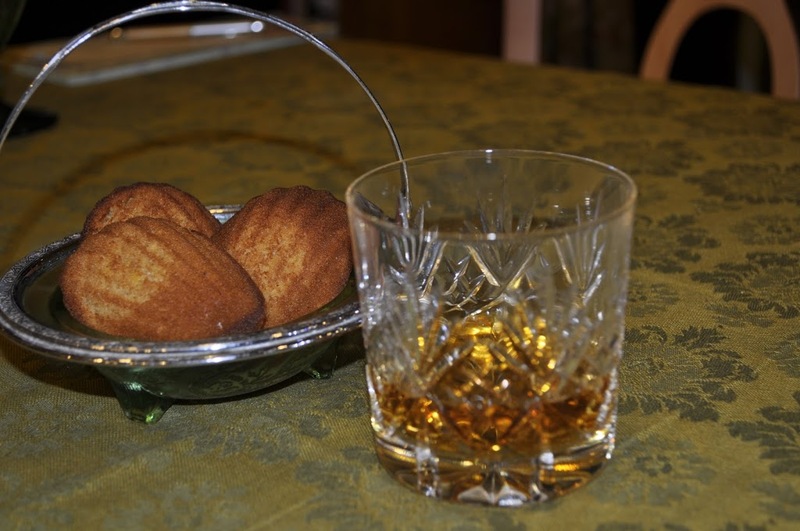 John enjoyed a few Madeleines with The Dalmore Single Highland Malt 12-year Scotch Whiskey, as suggested by Dorie – and he loved the way the flavors complemented each other. In fact, he said I should make these for our next wine-tasting party. 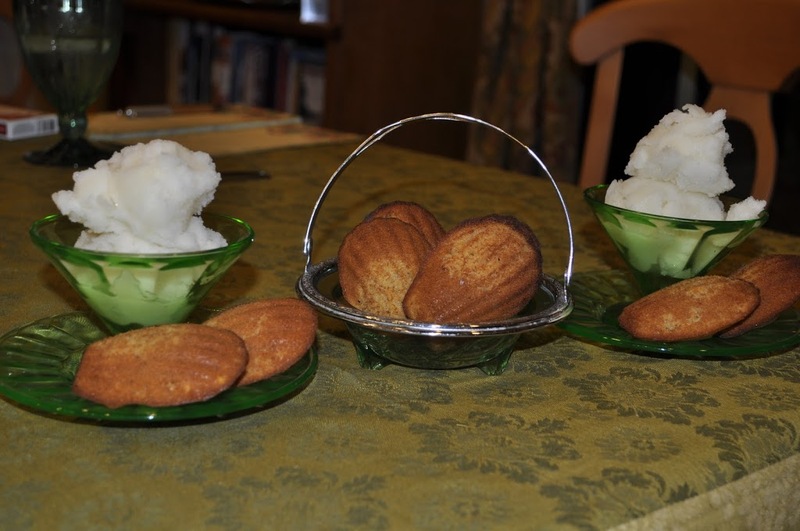 We both enjoyed them with the taste and texture contrast of the subtly flavored sorbet with the lightly sweetened spiced cakes. This combination of flavors is sure to excite your palette for the taste of fall. What a lovely “pear”ing. Have a great weekend! Screw the madeleines, I want that sorbet!! That sounds awesome. Glad they made such a beautiful pairing! 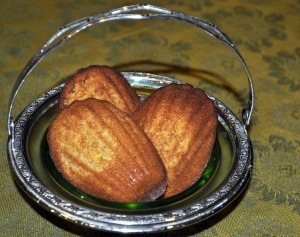 Those madeleines look fabulous! And served with pear sorbet…amazing! Cher’s right…great pairing! 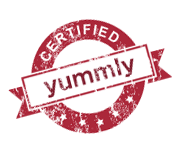 Ah, because dessert can almost be an amazing meal unto itself… great post, Susan! The sorbet looks wonderful and decadent – as must have been the madeleine with the aged scotch. I should try that with port soon! I think the pear sorbet is as about as perfect as you can get to go with these things. GREAT CHOICE! I want to make some! 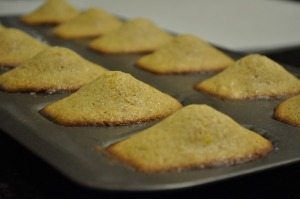 Your madeleines look perfect! Glad you both enjoyed these. And great combo with the pear ice cream…that sounds so lovely and refreshing. Have a great weekend!!! 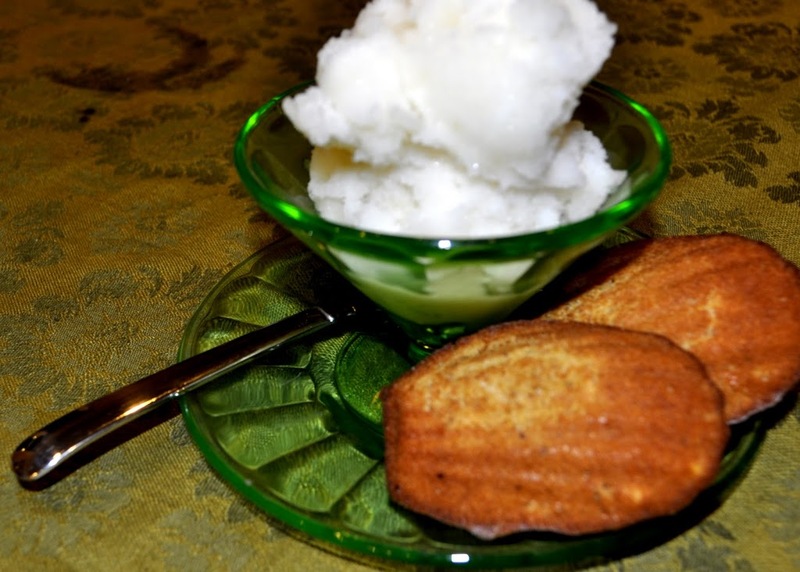 Mmm…the combination of the sorbet with the madeleines sounds fantastic! I like your tip of using the pyrex measuring cup for the ice bath. Happy first day of fall. Hope you have a good weekend! Wow – what a wonderful combination! An ice cream maker is on my ‘to get’ list. That sorbet is certainly an incentive. I love the dish you served the madeleines in. 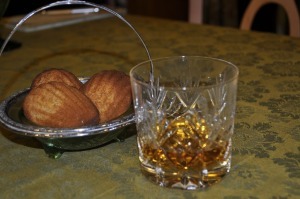 Wow, where to start… your madeleines look wonderful, but the sorbet… and then the scotch. Wow! What an amazing fall combination! Just lovely! 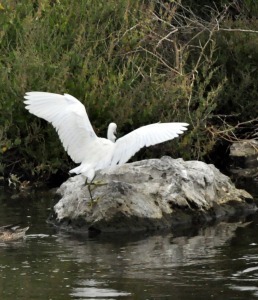 Just sends me into dreamland to read your post. And since we are next door to CA, I’m becoming more of a nerd too…it rubs off since we are so close, but it’s pretty hard to keep away from plastic with my big family…sometimes you just gotta do what you gotta do. I find myself washing glass jars that used to hold ingredients from the grocery store and using them to store other foods…instead of using plastic. That way I’m more like CA…recycling here at home and non-plastic. So I’m proud of you for being a nerd…you CA folks help keep us on track. Anyway…back to your foods. Beautiful and so delicious looking and really quite perfect. I’ve been trying Jeni’s ice creams too. Nice when creative people get us out of the box. The pear sorbet sounds so perfect for the first weekend of fall. Your madeleines are so perfectly “humpy”. Nice combination! That sorbet sounds delicious! 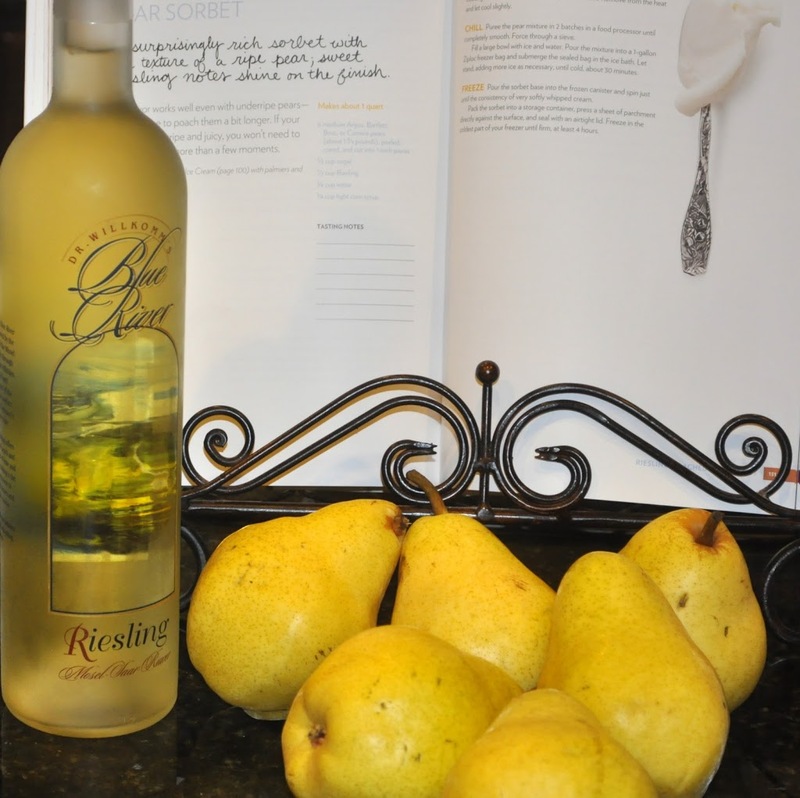 Riesling is one of my favorite whites as well and the pairing with pear sounds perfect. May have to give that one a try. This sorbet is next on my list from Jeni’s book. Looks great!